Functional Horsemanship: Are Supplements for Horses Worth It? Are Supplements for Horses Worth It? EMays wrote to me to ask about equine supplements. I see alot of my friends using supplements on their horses. 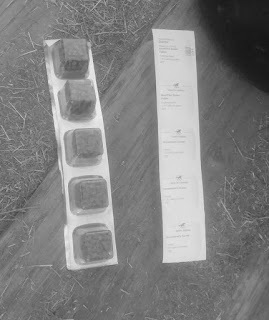 Based on my history using human health supplements for myself, I think that some are probably good for horses and necessary to make up (nutritional) deficiencies, while others may be a waste of time. What is your opinion on generally good supplements for horses? Thank you for your time." I pretty much believe that less if better when it comes to supplements in general, and even non-forage feed for that matter. 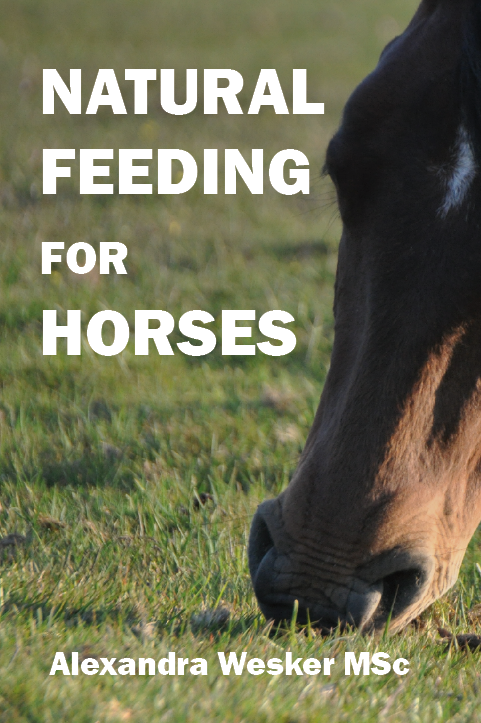 But I also believe some horses, like humans, can have nutritional deficiencies and chronic conditions that may likely be helped with equine supplements. I am also inclined to think that a supplement that works for one horse does not necessarily work for another horse as there are way too many variables such as age, physical condition, previous injuries, feeding program, and what the horse is used for. Another variable is just how much you are willing to spend. Years ago my horseshoer introduced me to a Doctorate student who was riding with my shoer to keep his own horseshoeing skills current. This Doctorate student, who was heading for an advanced degree in Ruminant Management and Equine Nutrition or some closely related field, also grew up working on ranches and feed lots in the mid-West, was a wealth of information on equine nutrition. Since I had a 20+ year old horse who had broke a coffin bone wing which my shoer was bringing back to soundness with a bar shoe, I asked about hoof supplements thinking it may be a good idea to get this horse on a supplement that would help heal his broken foot. The Doctorate student told me that he believed hoof supplements were likely effective especially if they had key ingredients like biotin, L-Methionine and L-Tyrosine and some others. He also told me that the jury is out on joint supplements. However, he said it was likely that Chondroitin and Hyaluronic Acid were not effective in horses, but Glucosamine could be. My experience with human joint supplements tell me the same thing, that Glucosamine and Vitamin C are the main effective ingredients in joint supplements. This Doctorate student also said that it was hard to get the industry to fund objective studies since they could be funding a study that would conclude that supplements improving horses were inconclusive or worst yet, not effective. By the way - I ended up putting that old horse with the coffin bone break on hoof supplements. Nine months later it came time to quit the barshoes, get an x-ray and see what the hoof looked like. My Vet told me not to get my hopes up, but when I went to his office to get the results he said words to the effect that "I'll be damned that old horse's hoof has healed - no reason you can't start using him now." I also put another horse on hoof supplements and months later my horseshoer remarked that I should keep doing what I'm doing because that horse's feet were looking good from his perspective. Keep in mind that no hoof supplements are more important that consistent, competent trimming and shoeing......but I think it could help and that leads me to the saying that "proof is in the pudding". I also have had a horse on joint supplements for the past year. I chose a version high in Glucosamine and Vitamin C and without Chondroitin and Hyaluronic Acid. I think it is helping but it is hard to tell. For sure, he is making more athletic turns such as doubling on the fence, but it could also be because we do more of that. But, I'm going to keep him on it. I think I owe him the benefit of any doubt. If that particular joint supplement started costing an exorbitant amount of money, then I could rethink that, but right now about $35-40 a month is worth it me on the chance it is providing that horse with nutrients good for his joints, and in particular, his cartilage and soft connective tissue. The bottom line for me is that if any of my horses had a particular condition that may be helped with supplements, then I would try it for awhile. Awhile is not weeks, but months,....if not a year or more. And even then it may be hard to tell if your horse is being helped. Out of six horse's, I have one on daily hoof and joint supplements. Two other horses receive a weekly pro-biotic paste because I think they can benefit from it. I use Smart Pak supplements. They package my daily supplements in one handy string of multiple containers - see picture upper left. Smart Pak has some good resources available on their web site to include a blog with categories like 'Asking the Vet', to 'Success Stories' from owners using supplements with their horrses and how they fared. Smart Pak is a very customer oriented and responsive company. Advisors are available to discuss supplements over the phone and help you choose what may be best for your horse. The UPS truck brings my supplements every 28 days and I even get an e-mail to my phone when they are delivered so I can walk out to my main gate to retrieve the package. I have no financial arrangement with Smart Pak other than they have donated to charity based horse event I have ran. Using Honey to Treat Horse Wounds?